Can anyone recommend some tasty low fat high carb recipes please :D ? - 30 Bananas a Day! Can anyone recommend some tasty low fat high carb recipes please :D ? Giving the 80/10/10 lifestyle a try for a solid 30 days, so trying to gather as many recipes together as possible :D please help ! I just tried the "banana and mangoes smoothie" you posted, but I added fresh coconut water. It was so nice and creamy. Keeping this one for sure! 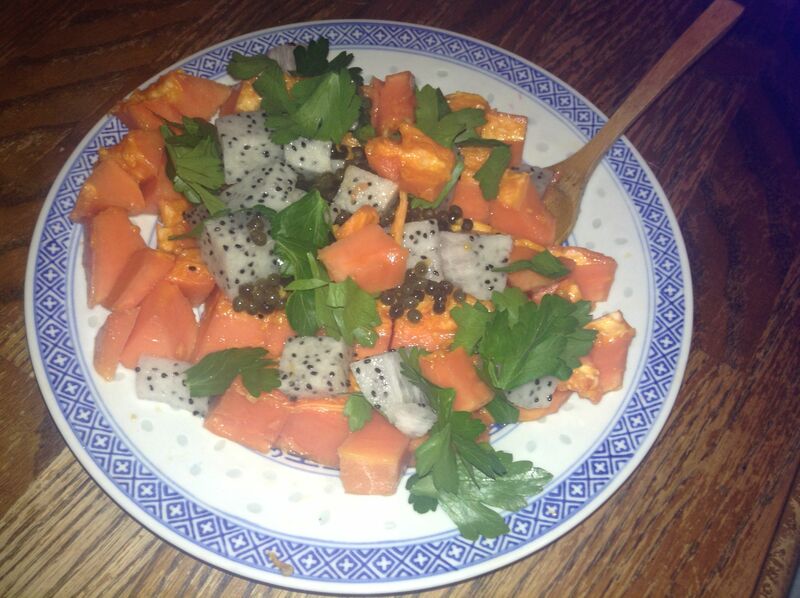 I just had a fruit salad made of ripe papaya, dragon fruit and parsley. It was sooooo good. If you can't find dragon fruit, banana is a good substitute since it pairs very well with both parsley and papaya. One of my favorite things to do is make a raw marinara sauce with zucchini noodles, a collard wrap with blended fruit/herbs/jalapeno as a dipping sauce, or salsa! You can make salsa out of tomatoes, citrus, pineapple, anything and it is especially tasty over cucumber noodles. Cauliflower mashes are also great, especially when I'm craving heavy foods. I do mine with tomato, lime juice, and curry powder. You can make "rice" out of cauliflower too. We may not have as many options as other raw fooders, but with a little creativity we do have some!